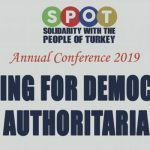 Our 3rd Annual SPOT Conference provides an opportunity to hear from those who have seen and experienced the reality of life under Erdogan’s authoritarian regime and invites you to find out more about what we are already doing to build international solidarity and call to account both the Turkish state and the complicity of European governments. 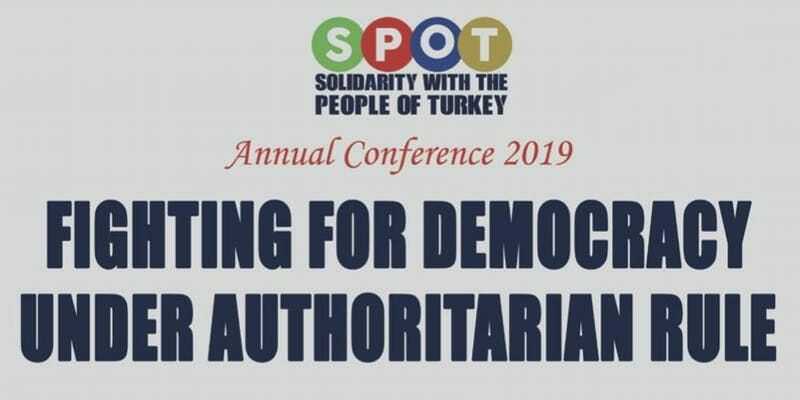 Turkey’s ruling powers are pushing the country towards a dictatorship and Recep Tayyip Erdogan’s attacks on democracy are impacting all sections of society. 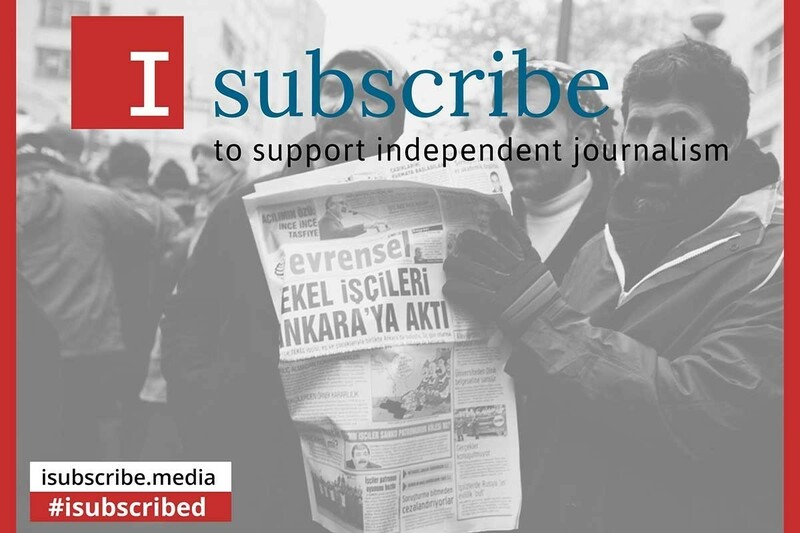 With this increasingly authoritarian regime, the state of emergency has become normalised and entrenched in law, an executive presidency created, independent media outlets shut down, academics and public-sector workers purged and criminalised, attacks on Kurdish regions intensified, opposition politicians arrested, violence against women on the rise, discrimination and hate crimes against LGBT increasing, the environment being destroyed and so the list goes on. Meanwhile, world leaders watch unflinching, continuing to sell weapons and tip-toeing around Turkey’s human rights record. 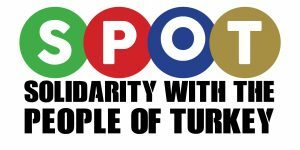 But the battle for democracy and workers’ rights in Turkey goes on and provides a ray of hope. And we know that democracy maybe denied but it is not yet lost. For more information about this event and/or to get involved contact us.